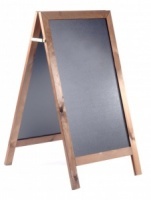 This range of free standing chalkboards is made using a Wipe-Clean Chalkboard panel, this means that they are suitable for exterior use and are easy to clean. 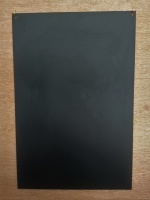 The Chalkboard surface is great for use with Liquid Chalk Pens as well as traditional Chalk. If you cannot see what you are looking for in our framed blackboard range, just ask and we can provide you with a quote!